We are excited to welcome Michael Boyette as our guest author today. Michael is the Executive Editor of Rapid Learning Institute and editor of Top Sales Dog Blog. No matter how much effort Marketing puts into delivering high-quality, actionable leads, most salespeople remain convinced that marketing-generated leads are lousy. The problem usually isn’t the leads, however; it’s how salespeople follow up on them. Let’s look at a typical experience from the salesperson’s perspective. She gets 100 leads. Marketing promises that these leads are Glengarry Glen Ross golden. The tire-kickers have all been screened out. Each is an inbound lead from someone actively looking to buy – prospects who called the toll-free number or clicked on a web page asking for information. So she blocks out precious hours – hours she’s taking away from existing customers and deals already in the pipeline – and starts calling. By the time she gets to the bottom of the pile, she’s won exactly two sales. Next month, she gets another hundred leads and gets the same results. The month after that, she gets another hundred. But by now she’s not getting any sales from them – because she’s shoving them into a shoebox under her desk and ignoring them. Well, let’s go back to our salesperson and see. Out of those first 100 leads, assume that 45 will eventually buy. Not all of them will buy from our salesperson, of course – let’s say her closing ratio is about 33%. So out of those 100 leads, she’ll have 45 sales opportunities, and can expect to close about 15. But here’s the problem: Reps often underestimate how long it takes for those leads to turn into sales. Most reps would tell you that if 45 purchases are eventually made, the buying behavior would look something like this. After all, leads become stale, right? It makes sense if you think about it. 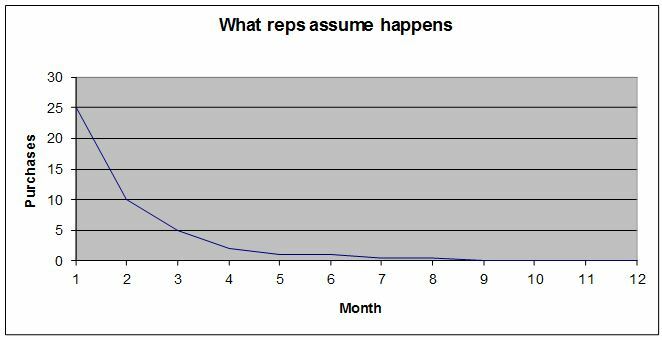 A buyer could be anywhere in the buying cycle when the rep calls. Some are ready to make a final decision. Others are just beginning to explore their options. In other words, out of those 45 opportunities, only about 4 will be ripe. The rest are too green to pick. And unfortunately, a “green” lead can look like a bad lead. These prospects aren’t really focused yet. They don’t want to set up an appointment or talk about next steps. It’s easy to assume they’re not really serious buyers. But they will be – once they ripen. The worst thing our salesperson can do with green leads is throw them out and start over with a new batch. 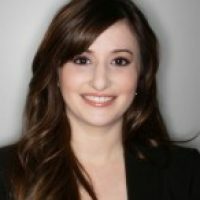 She’s already done the hardest part – making contact and establishing a connection. Now she needs to cultivate those opportunities. But she probably won’t. Believing that the leads have gone stale, she puts them in the “when I get to them” file – and never gets to them. So she doesn’t get those 45 sales opportunities. She gives up after a few months and maybe gets only 8 or 10–which only reinforces her belief that the leads were lousy to begin with. Often, this kind of scenario is exactly what happens in the real world–effective follow-up only happens about 25 percent of the time. What does this mean for marketers? You have to work closely with your sales force to make sure they understand how leads continue to ripen. And you need their buy-in to keep following up on those leads, so that you both can get an accurate idea of how those leads perform over time. Do that, and Marketing and Sales will be pulling in the same direction at last!